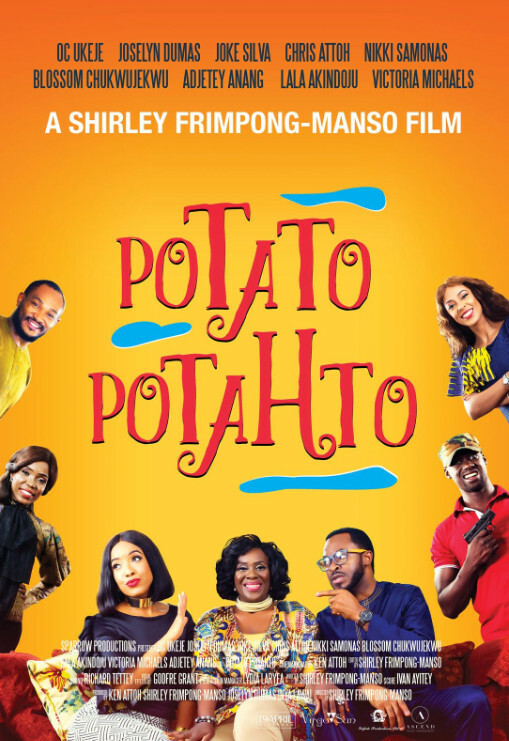 Founder of Ascend Talent Management Inya Lawal and multiple-award winning producer Shirley Frimpong-Manso merged creative minds to produce this engaging romantic comedy titled ‘Potato Potahto’. 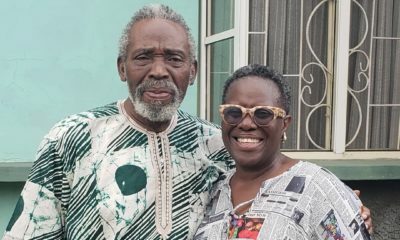 The movie stars OC Ukeje and Joselyn Dumas and features a stellar cast which includes; Joke Silva, Chris Attoh, Kemi ‘Lala’ Akindoju, Blossom Chukwujekwu amongst others. The refreshingly fun and entertaining movie has been tipped by international distributors as a global box office gold mine. With an unexpected plot twist, comedy gold and a stellar lineup, Potato Potahto is already set to be one movie that will keep people talking for a long time. Its first screening will be at the world’s largest film festival, the Cannes Film Festival on Wednesday, May 24, in France. After which it would be screened in Ghana, South Africa and Nigeria before a grand European and Asian cinematic release tour before it’s North American release all in 2017. 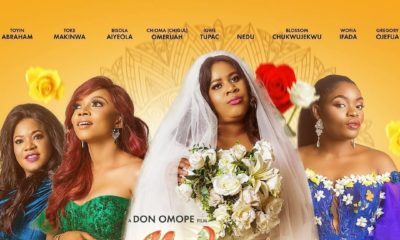 Movie stars OC Ukeje, Joselyn Dumas, Joke Silva, Kemi ‘Lala’ Akindoju, Blossom Chukujekwu and Chris Attoh will all be in France for the premiere. Potato Potahto is about a divorced couple who decide to share equal space in their ex-matrimonial home and soon realise that the ingenious idea is easier said than done. Bent on flexing their egos and scoring points, the two implore various hilarious tactics that soon inflames emotions and turns an already complicated situation into a roller coaster ride. Shirley frimpong manso movies always top notch! Can’t wait to see this! looks good and funny too. shirley frimpong. one of the best filmmakers in Africa. Well done! Why does this remind me of that Jennifer Aniston & Vince Vaughn movie, The Break-Up?? get your facts right. the film is not part of the cannes film festival but as a marche du film. screening Anyone can rent a small theater to screen their film inside the palais, you just have to pay to rent. congrats though on another copy copy movie. Storyline is from CSI Miami episode where the couple lived in the same house but used laser to separate their areas. It is desperate Dan. 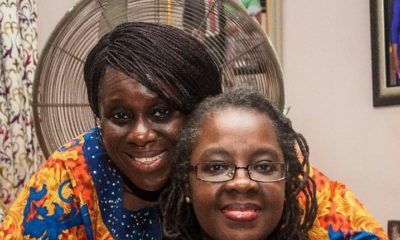 They think Nigerians live in the bush and we do not know these things! This is a false PR. On the contrary, I am coming from Cannes and this film is not part of the line up. Unless they are premiering at a rented theater. Which is rented out after the Festival is over. Which is not part of Cannes Film Festival. Nigerian tried well. They had a Lagos pavilion. Kudos! That there are no pictures from the screening tells you a lot. Ascend to the top of the lies lol! Frimpong Manso is good but this desperation from her nollywood manager will kill her chances. It is definitely not in the cannes line up otherwise the festival would have made the noise and the international press will be all over it! Frimpong manso herself is desperate too. She’s trying too hard to be like that other girl. Laila or whatever. She seems to have Hollywood in her hand though I think she’s a snub. Cannes ko Cannes ni. Inya lawal needs to chill. I am not trying to be funny but “Sarah” are you actually Sarah Inya Lawal trying to drum up controversy for your PR? Only in Nollywood does the producers name appear in the press release before the directors. Welcome to Nollywood, Shirley lol. But honestly, I do not think Frimpong Manso is desperate. She has made too many films. to be. The ‘Inya Lawal’ sounds like she wrote the press release so she put her name first coz naija no dey carry last! Amateur behaviour but typical Naija he is probably trying to prove a point. ‘Chibuke’ How much did they pay you? If you know it is a masterpiece, then you have seen the movie. Wait for people to watch and tell you…. lol!